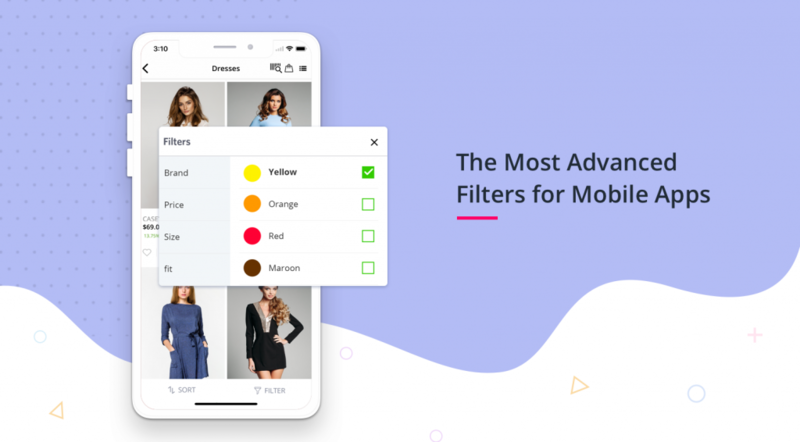 Filters, hands-down are one of the most vital features for a mobile app, especially for e-commerce. Filters are the easiest way for your customers to find specific products on your app as per their need. More often than not, customers open your app to buy a specific product, something like – a Beige , floral maxi dress of size S from your newly launched summer collection . The faster they are met with a product with those specifications, the faster the sale is done. Filters not only enhance the user experience of the customers but also shortens the path to purchase by taking the customer to the product they wanted in the shortest time possible, thus incentivizing the impulsive purchase action, and boosting conversion. 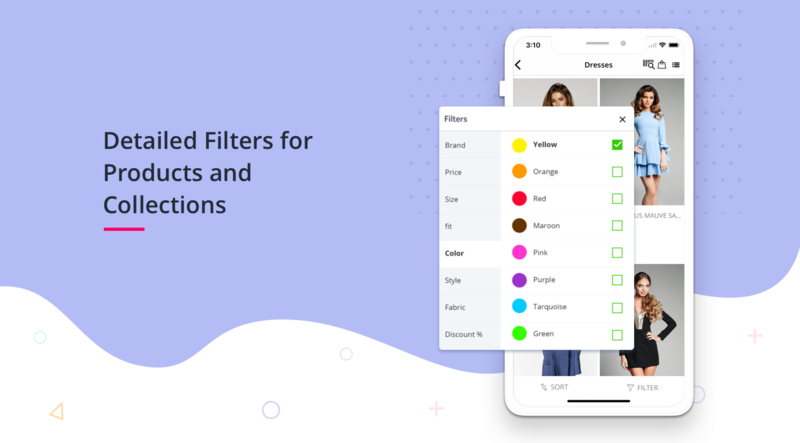 Understanding the importance of Filters as a feature and the enormous scope it has, we have built the Smartest and the Most Advanced Filters on Mobile App for Shopify Stores. What makes our Smart Filters, Most Advanced? We have developed filters keeping in mind the long list of product attributes that can act as filtering criteria. A product generally has attributes such as price, size, color, brand, and discount as standard attributes. However, the products can also have custom tags attached. These custom tags bear meaning for the stores they are made and can also be used for filtering criteria. Hence, while building filters for our apps, we made sure all the product details and tags are included to provide maximum granularity to the filtering experience. With our Advanced Filters, you can filter products and collections by every detail possible including price, size, color, brand, discounts, multiple tags. What makes our Advanced Filters, Smart? The granularity and the scope of our filters is at par with the best out there. But that doesn’t make it tedious to set up. In fact, we have automated our filters to be set up with one click. As soon as you enable filters on our Dashboard, our filtering engine gets to work. We read all the product details, attributes, and tags and decide the best possible combination of the filtering criteria for your app. You can change all of it manually, but we believe you will seldom need to. What makes our Smart and Advanced Filters, Special? While we are proud of the wide scope of the feature and how much of it is automated, we geek out on the detailing of it. In the end, the devil is in the detail. Our filters are completely customizable. You can use them for products, categories or collections. All and any custom tags are welcome to be used as filtering criteria. 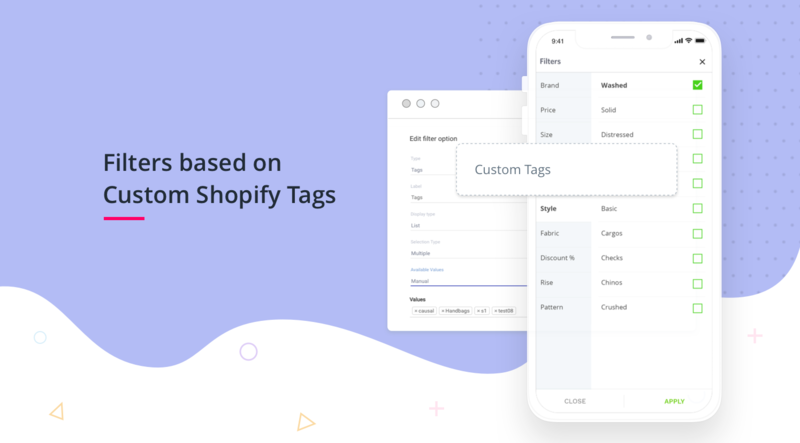 Filter by variant, size, color, price, tag(s), collection, vendor, brand, type, inventory, discount percentage, and absolutely any other attribute or tag. How to get filters on your mobile app? If you have a mobile app on the Plobal platform, write to support@plobalapps.com. 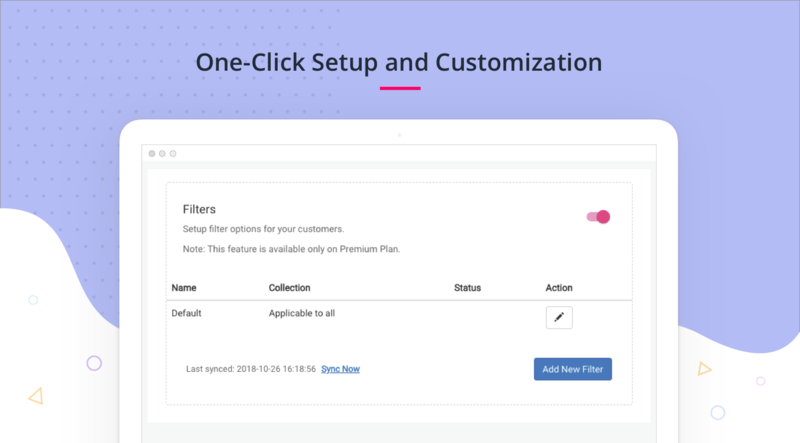 Filters is a premium feature and is available in select plans. Ask your success manager about upgrading your Plobal plan. For mobile apps not on the Plobal platform, don’t compromise on a remarkable mobile app experience. Get started with us, today.